The newest addition to Braemar Caravan Park in 2017 are our specially designed camping pods which each sleep up to 4 people. They are heated and have comfortable mattresses, a microwave and kettle. A perfect place to stay after exploring the hills of Invercauld Estate. This particular pod has been designed for disabled access. Please let us know if you would like the Access ramp installing for your stay. 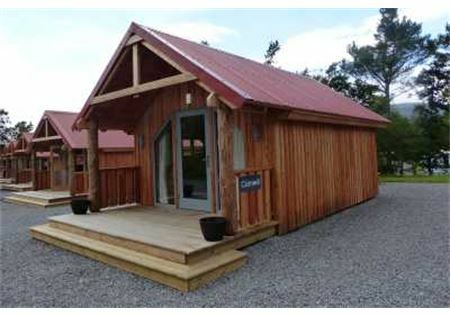 On site heated toilet & shower facilities a short walk from the pods.